Sling It On! 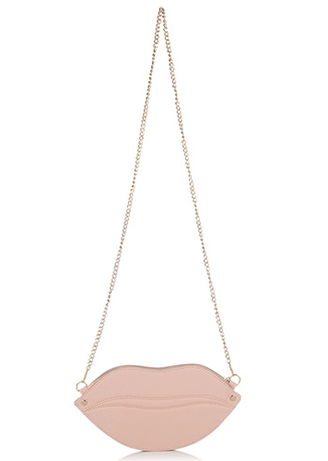 Are These The Most ADORABLE Bags In Town? We know you love your totes but we also know how much useless stuff you carry in them. Receipts from your shopping trips in 2006, three empty boxes of gum and more makeup than you could possibly need... Seriously? All you need in your bag are your essentials, i.e., phone, wallet, aux, etc., and you don't need a tote to carry them all! Here are 11 adorable sling bags that you could carry and spare yourself a tennis shoulder! 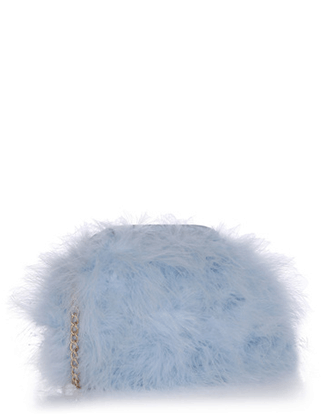 Who doesn't like themselves a cute furball for a bag, and that too in baby blue?! Plus, a hint of fur here and there really gives a sophisticated touch to an outfit. We think it is totes adorbs. What about you? Price: Rs 1,556. Buy it here. Guess what? You don’t need to buy a clutch for a night out. These pink lips are your saviours. This sling is transitional - you can carry it in the daytime and at night as well. Thank the lord, eh? Price: Rs 500. Buy it here. A pop of colour is all you need to brighten up your outfit (and your day too! 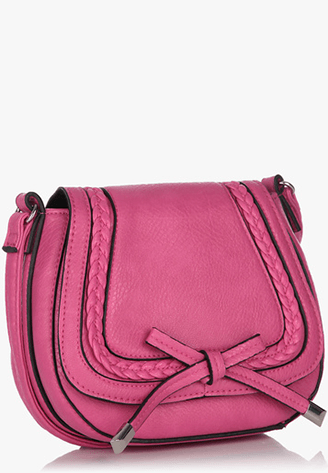 ), and we think that this pink sling is perfect. How adorable is that bow?! Price: Rs 1,000. Buy it here. Birdie num num! 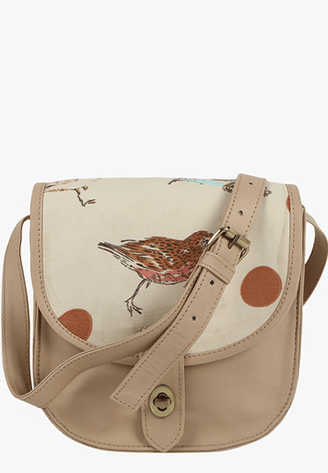 If you’re a fan of printed stuff, then here’s a super-cute bird printed sling bag that will go with all your daytime outfits.We think you should totally go for it! Price: Rs 999. Buy it here. We have this incurable love for florals - because they can never go out of style! 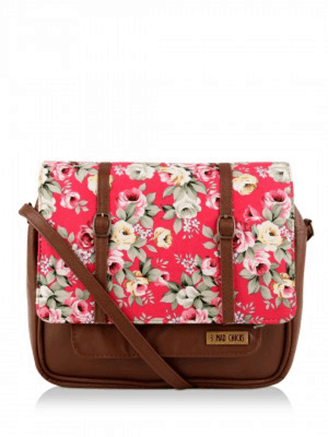 And if you do too, why don’t you go for this super adorbs floral sling? Price: Rs. 1,380. Buy it here. 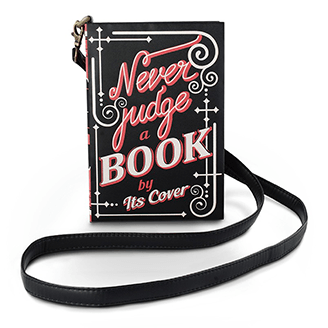 We are absolutely in love with this uber-cool sling in the shape of a book. The message sounds very apt, eh? You can pair it with a basic white tee, a pair of boyfriend jeans and flip flops. Mhm. We likey. Price: Rs 1,299. Buy it here. One thing's for sure - animal prints never go out of fashion completely. This bad boy right here is your soulmate if you prefer animal prints over anything else. Price: Rs 699. Buy it here. This sling is the epitome of quirk. 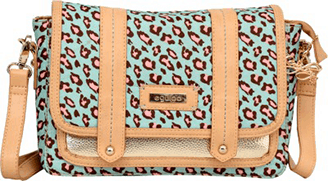 If you love quirky prints then this cutie is the one for you. Price: Rs 900. Buy it here. Let’s get b(l)ack to basics. 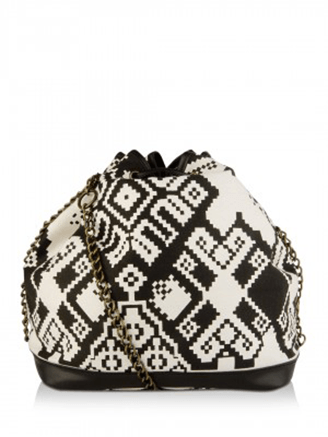 Check out this super adorbs monochrome duffle bag. You can totally carry it with either an LBD or an athletic look! Price: Rs 899. Buy it here. 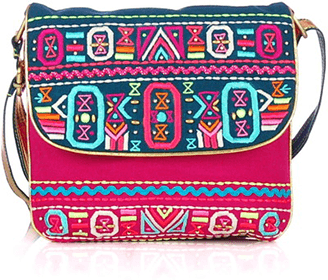 Here’s that super cute boho sling bag you probably imagined you’d carry if you ever got to attend Coachella! Price: Rs 1,650. Buy it here. How cute is that bow? This sling has the right amount of bling and basicness, and you can rock it not only in the day but at night as well. Price: Rs 1,650. Buy it here. 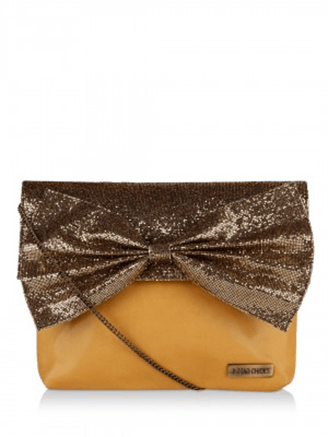 MUST-READ: 11 ADORABLE Clutches That Cost Less Than Rs 1,000! 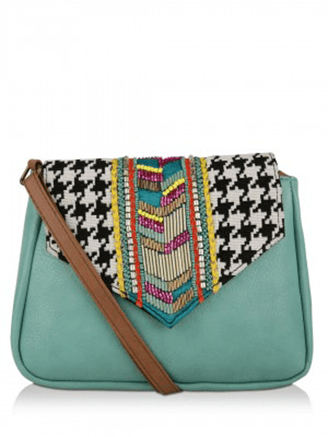 MUST-READ: 10 Super-Stylish Handbags That Fit Your Laptop AND Your Budget!